One of the happiest times of the holidays is sitting down at the dining room table to gather friends, and family to enjoy a delicious meal. 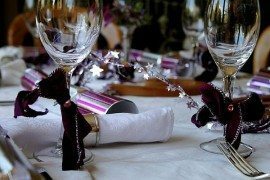 Whether you have a large gathering or a more intimate gathering of just a few people, creating a Christmas tablescape for you table will bring a joyous feel to your dinner party. A tablescape is more than a centerpiece, in that it sets the scene and uses the entire landscape of the table to convey a theme. 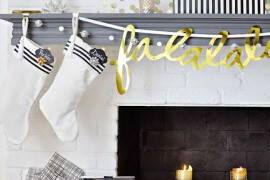 From you dinnerware and flatware to your decorative elements, here are Christmas tablescape ideas that your holiday guests will love. The beautiful attraction of tablescapes is the ability to transform a bare table into a scene like no other. 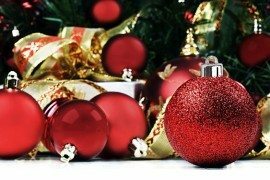 Depending on your interior style will help you draw inspiration from your holiday colors in your table linen, adjacent Christmas tree, or you may want to make your tablescape set the scene for the rest of the room. 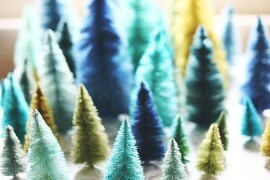 Choose a winter wonderland scene complete with faux sparkling snow as cotton and miniature trees and woodland animals. 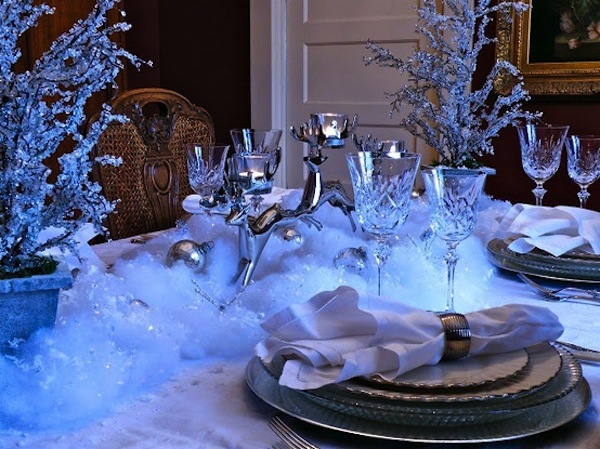 If you prefer a more elegant scene consider crystal and reflective Christmas decorations to set the scene for your dinnerware and glasses. Whether you eat at your dinner table, or it’s a formal dining room that is only used occasionally, consider what colors will bring your tablescape alive. Choose a winter palette of color such as red and green, silver and gold, winter white and brown, choose colors that evoke a feeling of grandeur and lets your dining room table come alive. Decide if you want a single focal point such as a tall centerpiece or if you’d like your tablescape to stretch the length of your table. Then use colorful dinner plates, chargers, and separate place seating and decorative elements to bring color to each guests seat. 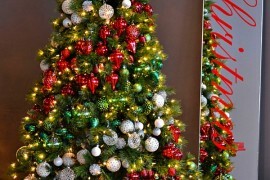 The most decorative element in your holiday home is most likely your tree, so borrow inspiration from it for your table. 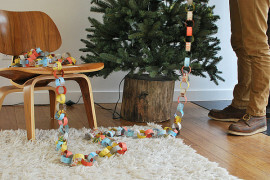 Ornaments, tree toppers, garland, and wrapped gifts can create a wonderful tablescape at the dinner table. Table runners, table linen and fabric napkins are the ideal way to carry the color scheme throughout the entire table. 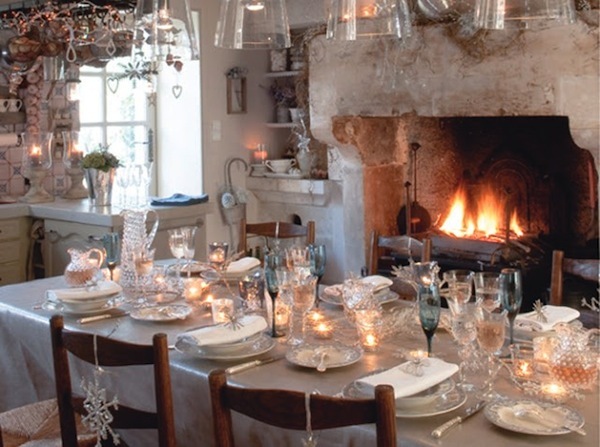 For a more rustic approach, leave off the formal table linen and use just the bare table top to create your scene. Add metallic decorations with branches, twigs, and lighted Christmas ornaments in vases to complete the scene in the center of the table. 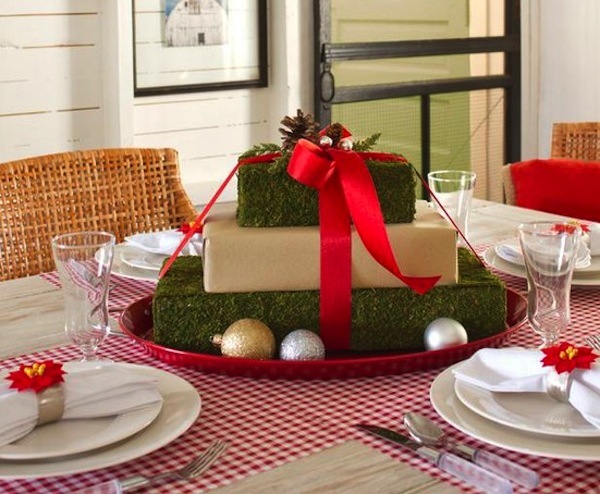 Try layering rectangular faux gifts wrapped with a large ribbon to make the perfect tablescape centerpiece! 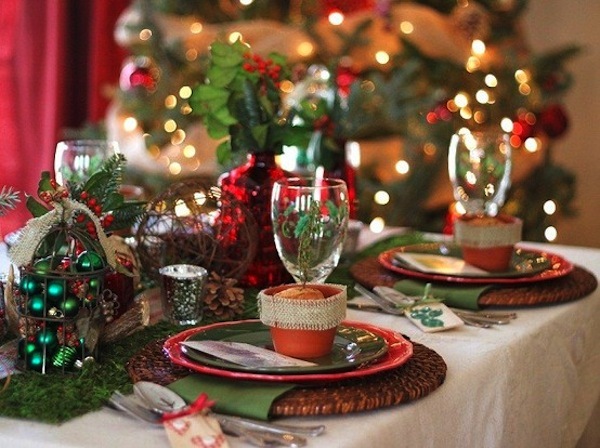 Your Christmas tablescape will be the focal point of your holiday dining room table. Use these ideas to create a memorable landscape on just one table, or mimic the same idea on smaller coffee tables, entry foyer tables or even on night tables and sideboards. 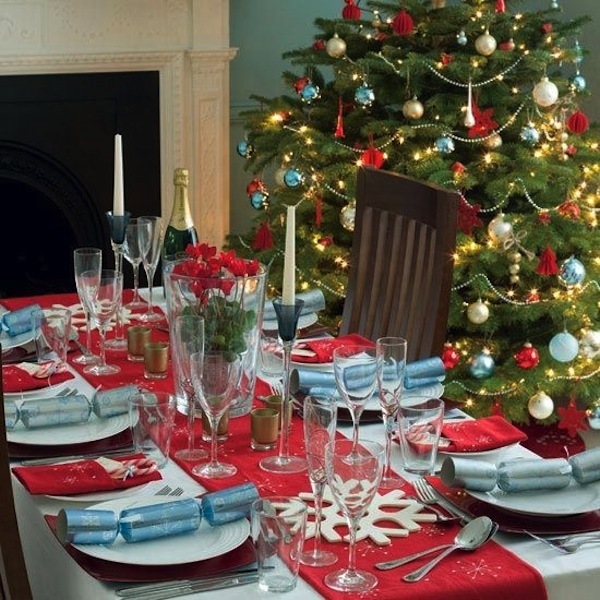 The beauty of tablescapes is the ability to be used throughout your holiday home.